Ask yourself, are you satisfied with your piloting in EVE Online? Think back to your most recent fight; did you play your best and did you win? If not, what mistakes were made? Did you lose a ship because of your or another’s decision? Were you able to discuss mistakes with frankness and sincerity? Did your or your teammates’ tempers flare in the face of criticism? The very first step to reaching the highest levels of play in a game, whether it is a conventional sport or a video game, is to look at it with a competitive mindset. Going far beyond the notion of good sportsmanship, a competitive mindset is the deep seated drive to be the best and to play the game at its fullest. A mindset can be more than personal, it can be the a soul of a group. Those who value playing competitively together will progress farther than any one can alone. Through teamwork and common goals, competitive groups elevate their members. In the face of recent outcries of “EVE is dying” this article is for those who are looking towards the future. For those who wish to take on EVE Online as it is today and to drive themselves up to the level of play they know they can achieve. Along the way, I plan to convince you of the value of playing with a competitive mindset and express what it means to do so. 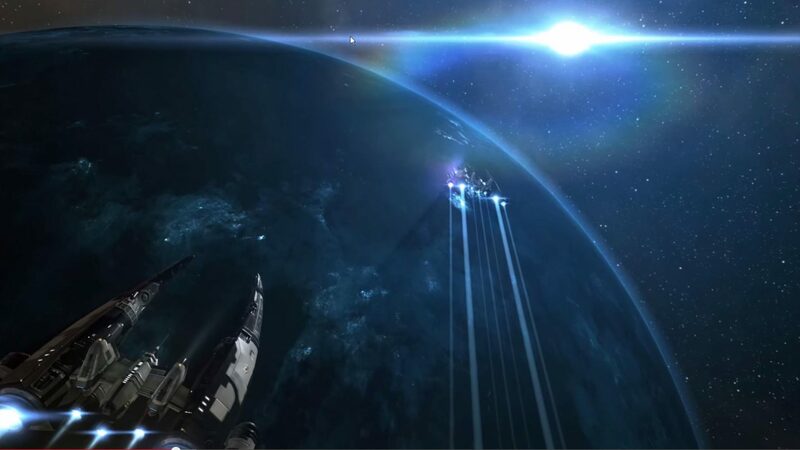 EVE is a large game with diverse methods for winning. Killmails, killboard statistics, holding the grid, sov in nullsec, and plexes/pushing systems in Factional Warfare can all be goals. It is up to you and your group to decide what is important. If you are not playing to win, then you are not playing competitively, and you are placing yourself at a disadvantage from the very beginning. As a player with a competitive mindset, you must accept the game as it is and conquer opposition using the available tools. This means that you must avoid falling into the “scrub mentality” trap of abstaining from parts of the game that some may consider “cancer.” Besides being a disgusting term for the common phrase “overpowered“, those who avoid fighting and using the strongest ships in the game prevent themselves from ever reaching the highest levels of gameplay. You may be familiar with some players who label certain methods of play as cheap, requiring no skill, or “unfun” and abstain from their use. They are choosing to play their own subset of the game, with their own made up rules, instead of pushing EVE’s true boundaries. These players are not playing to win. While you may not directly control what tools exist in the game, you have full control over how you play. You can learn to dominate with them yourself, develop a hard counter against them, or choose to remain locked into a losing mentality, unwilling to play to win with the tools available. This is the key idea when playing within and pushing the metagame for each patch. The meta is constantly evolving while players discover the best way to defeat their opponents. Competitive players do not use high tier ships to win the easy fights, they do so to be on equal footing for the truly difficult and satisfying fights against other strong players. What is considered high tier for solo play may not be strong for a small scale gang. Likewise, the best ships in a small gang don’t necessarily scale up to n + 1 large scale gameplay. Refer to top players to find what works, use this knowledge to try new things, and above all else: push yourself. Using off-meta ships and fits does have its place. Once you’ve progressed far enough, subverting expectations can open up new realms of play. If you’re still working on the foundations of your piloting, I suggest flying high tier ships and fits. This allows you to approach as many fights as possible with confidence, rather than spending your entire play session practicing how to “choose your engagements.” To learn more about what’s strong in the current small-scale metagame, I recommend the analysis Gorski Car provides in the Small Gang Tier Lists here on Crossing Zebras. Small Gang Tier List – Frigates Small Gang Tier List – Cruisers If you find yourself in disagreement with or put off by the idea of playing to win, I recommend you read more on the topic from game designer Sirlin. Although it’s a contentious term, the “scrub mentality” is a well defined topic in competitive gaming. It is the antithesis of a competitive mindset and will hold you back unless you acknowledge the forms it can take. One thing is certain in EVE: you will make mistakes and you will lose ships. While we may play to win, we often learn more from losses. A competitive player must learn to lose with dignity. Failure is a critical moment for all, and how mistakes are handled defines how much progress can be made. We tend to learn far more from failure than from success, and often the most difficult to stomach losses can teach us the most. With the right attitude, every mistake can be a lesson. Those who get angry and find some other person or thing to blame doom themselves to repeat the same mistakes in the future. For every loss in every gang or fleet, somewhere along the way, you made a decision which contributed to the loss. Whether subtle or overt, with enough thought you can trace back decisions and find a moment where you could have done more. You must identify the root cause of your mistake, own it directly, and strive to never repeat it. Then you must move forward, knowing the exact cost of your new lesson. Although toxicity is the last topic I will cover, it is by far the most important for any competitive group. If you are unable to play without bringing your group down, then the rest of your contributions are worth nothing. By toxic behavior I’m specifically referring to the kinds of attitudes and actions that harm how a group functions. The line between playful banter and toxicity can be muddy, so it is the responsibility of each group to define what is acceptable. I find that taking a calm and professional outlook on the game and your interactions with others is the healthiest perspective. Competitive groups that do not directly address and stamp out harmful toxicity risk nullifying all that they work for over the long run. While skilled players can accomplish much, those that cannot work smoothly together will eventually fray and disband. After major mistakes, it is healthy to recap when the time is right. Once the adrenaline of a tough matchup has worn off, then a group can move into a healthy discussion. It is important to not dwell on and socially punish failure. Instead, a group must accept the costs and move on. When asking questions, sincerity is the most important thing. It’s dangerously easy to turn simple questions into biting remarks if asked in poor taste. Favor a personal approach, finding how you could have helped, rather than attempting to call out mistakes. Competitive players give one another the dignity and trust to own their mistakes. For all members of a competitive group, you must respect your teammates to be responsible for their own gameplay. So when a mistake is made by someone else in your fleet, focus on moving forward. If a group fears the consequences of failure, they hamstring themselves before they even undock. While individual skill can carry your group through many fights, it’s through teamwork that the best players can consistently accomplish amazing feats against all odds. Mayrin Hawke is a small scale PVPer who is happiest when fighting massively outnumbered. After playing on and off for close to a decade, she has found a home in Pyre Falcon Defense and Security, roaming out of Thera and the Amarr/Minmatar warzone looking for blobs to dismantle.